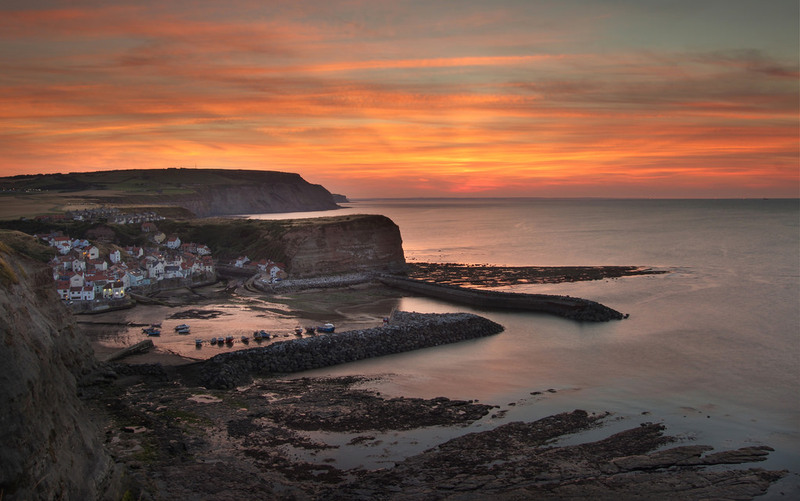 I took a drive out to see the sun set at Staithes, a pretty little fishing village on the North Yorkshire coast once home of the famous Captain James Cook. I have fond memories of playing on the beach and in the cobbled streets and alleyways as a child. I set up my camera on a lookout point on the cliffs at nearby Cowbar and waited out the sun dropping beneath the horizon into what photographers call the ‘Blue Hour’ where the sun has set but it’s not quite dark. 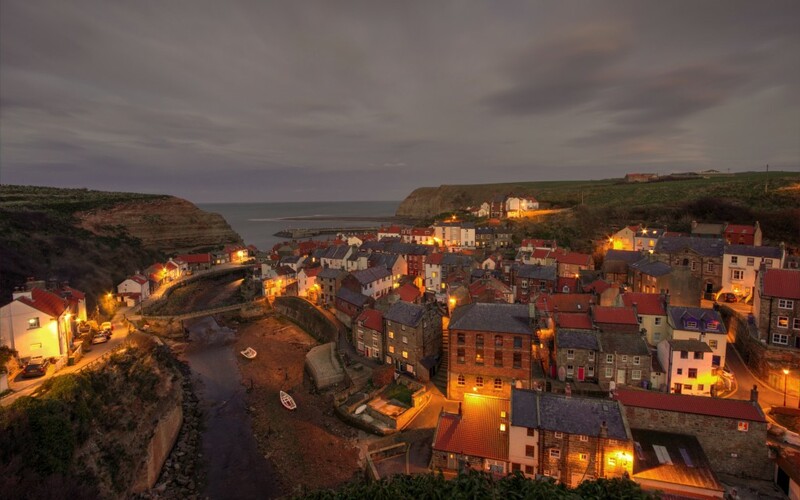 The village started to light up with street lights and people in their houses, the sounds of children playing in the stream below and sea gulls on their way to roost for the night in the surrounding cliff faces. 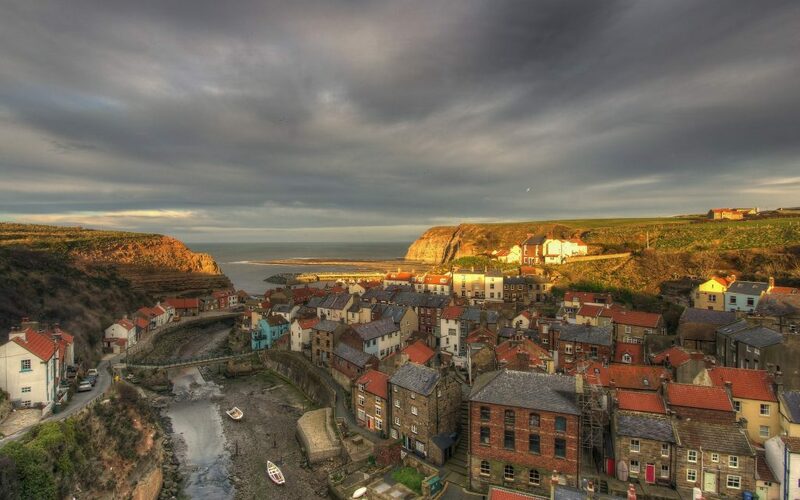 Staithes, North Yorkshire in the blue hour from Cowbar Nab. A new loop of the Cleveland way has been opened up to the public and the new path allows full access to the headland south of the village. 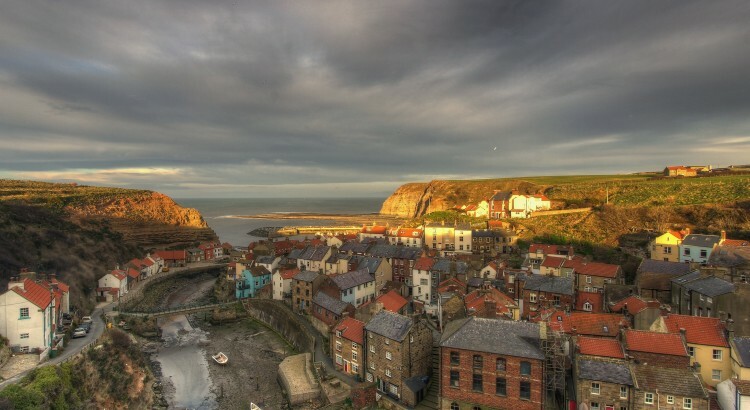 This allows a new via of Staithes not previously possible.